Well Slavi and I finally made our way over to the west. 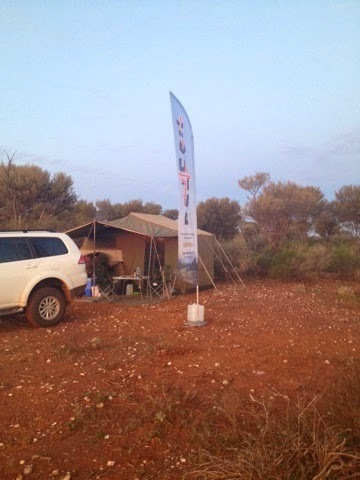 In Laverton we caught up with Corrie and Gordon from CGS Prospecting. There is something special about that salt and pepper scattered on the red soil. After camp was set up we all saddled up and headed out to nail our first colour. It didn't happen for us so we settled down to a night around the fire.